Another foreign import, this time thanks to a friend who had visited Belgium. 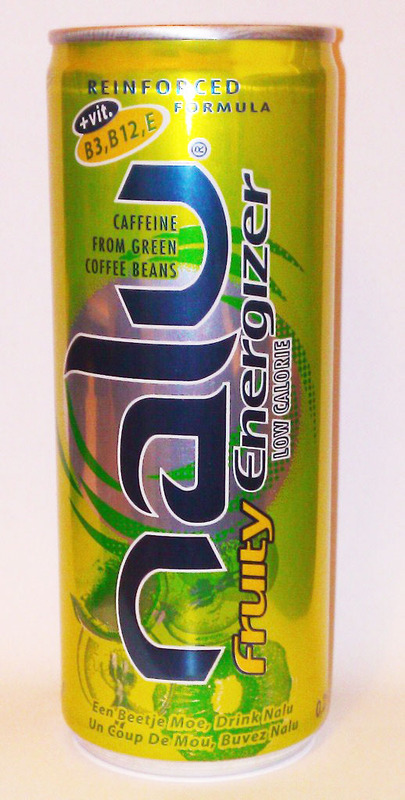 This ‘Fruity Energizer’ claims to have a ‘Reinforced Formula’ and gets its caffeine hit from green coffee beans. Although claiming to be low calorie, I’d really classify it as ‘a bit lower in calories’ because it still packs in almost 20 calories per 100ml.